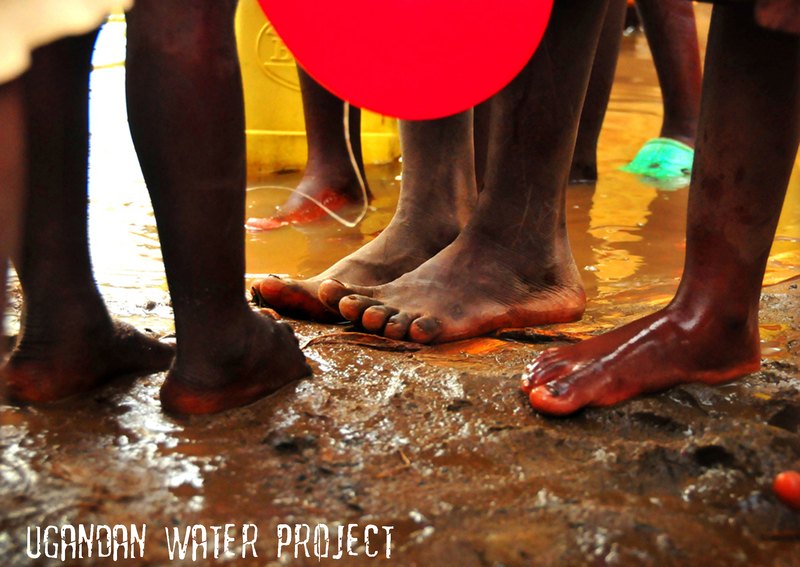 Sixteen pairs of feet connected with Ugandan dirt on July 30th, 2013, anticipating experiences as part of Ugandan Water Project’s Team #16, unaware of just how deep that dirt would sink. No hammers, no shovels; just 5 senses and eager hearts. One of the misconceptions of humanitarian organizations is that people who have should go and do for people who lack. Those going on short term trips are often asked, “What will you be doing?” Tasks and accomplishment are seen as goals in helping others rather than understanding and partnership. In reality, it’s much less about doing to cause a physical change and more about being to foster relationship between one human and another. If this is the perspective we should take when attempting to “be the change” and leave legacies of social justice, why does UWP take teams of volunteers to Uganda three times a year? How do we respond to those who question the time, money, and effort of travel; why aren’t we wielding hammers and shouldering shovels? Because lasting change happens in the context of relationship. Relationships require face-to-face interaction where real conversation happens, where a genuine desire exists to know the answers to “How are you?” and “What do you dream of?” and “How can I help?” They require that we patiently learn about another’s culture and stop looking at the world through our own lenses of how, when, why. They require time spent alongside, trekking down pitted paths to stagnant watering holes, witnessing human beings filling jerry cans of heavy water to carry the burden of death back to homes of mud, brick, and thatch, delivering disease to desperate eyes, bellies, souls. Relationships demand time and presence – not to do, but to be. 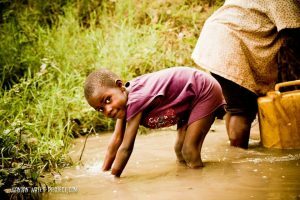 Down the road from a small rural clinic in Mubende, Uganda lies the community of Kalonga. As team members walked to the four room schoolhouse made of boards and dirt and dung, the lives began to trickle out through doorways and from behind shadows. While this dot on a map lies 2 hours from the capital city of Kampala, 30,000 people call Kalonga home – a community in need. Small hands tentatively reached for ours as we met with leaders and community members, discussing their current water sources, people’s daily routines, what the strengths and needs of the community were. Calloused feet guided us to where the essence of life sits, spoiled, waiting. Water. Without it, survival is not possible. But this wasn’t water, not a picturesque flow of sparkling water, not a thriving spring of strength, no clear handful of refreshment. A “traditional well,” an opaque and dingy liquid seeped from the low ground amid algae, vegetation, insects, and dung, a drab container for ground water run-off. 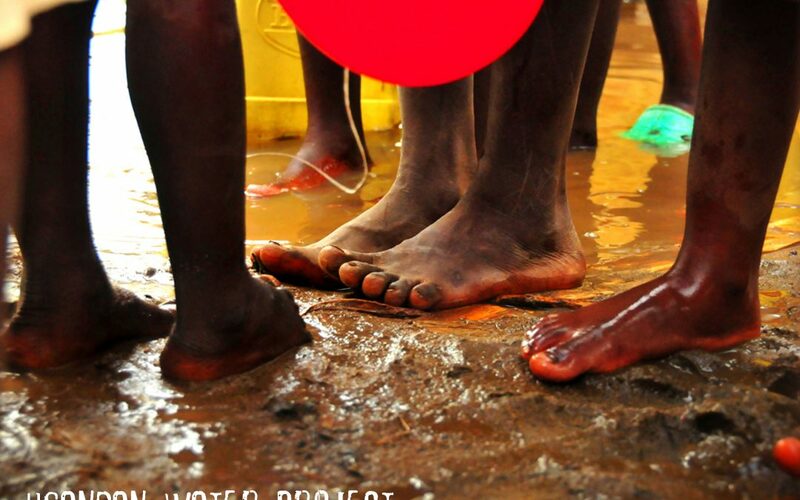 Here, the hands of children who clapped and sang for us plunged sunshine colored jerry cans under the unsavory scum to be hauled home, boiled, and used for cooking, cleaning, drinking. Nothing was “well”. The depth of instant connection caught in our throats as we uploaded pictures of smiling eyes, and hot tears spilled onto journal pages scrawled with compassion. And because of relationship, because of the bonds and understanding, the yearning for more went out across the world as team members in-country communicated the desperation to those at home. Messages, phone calls, and posts to loved ones shared thoughts and feelings of a day of being – and being blossomed into life-change. The relationships and ties at home became the ones who would pick up the rallying flag, who would agree that funding these tanks “soon” was too late. And relationships created tangible change. Within 24 hours, both tanks were fully funded and Kalonga was no longer a map dot, a tank pre-site, a name; it was where time and presence built friendships, it is where people dear to us are found, and it will be where new life is birthed through the restoration of clean water. This is why we go.